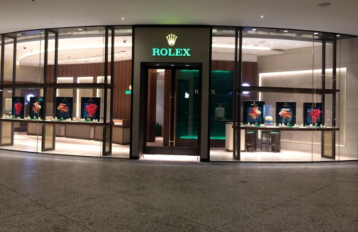 Internally walls and floors are clad in Irish Blue Limestone, a material which is synonymous with the rich history of civic buildings in Ireland, creating a sculpted interior volume with a calm, refined atmosphere. 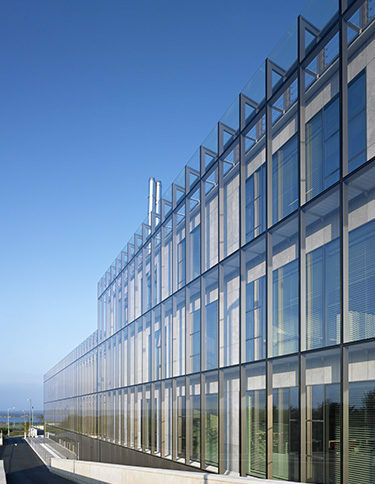 An outer layer of glass wraps around the blocks and acts as the outer skin of a double façade. This provides protection on an exposed site but also regulates the interior temperature through the control of air around the building; cooling the building in the summer and creating an insulating layer during the winter. 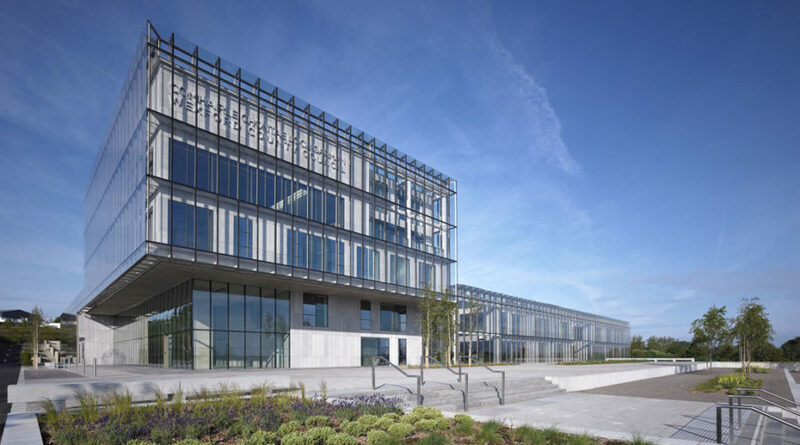 Wexford County Council’s office building Twin Wall design is one of the first of its type for a modern council office development. 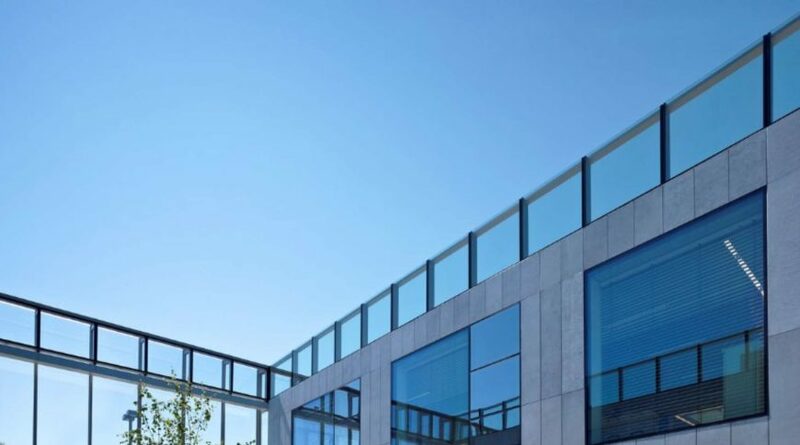 Bespoke twin wall curtain wall to all elevations, incorporating rain screen cladding, sun screens and balustrade to create a striking visual effect. 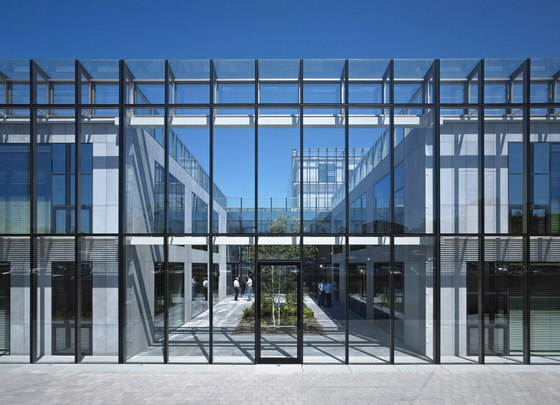 In addition to these features the office unit also features an entrance unit, structural glazing, glazed doors were also incorporated into the scheme. 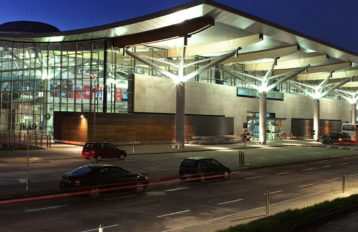 Wexford County Council's new €46 million headquarters was officially opened by Minister Brendan Howlin in 2011. 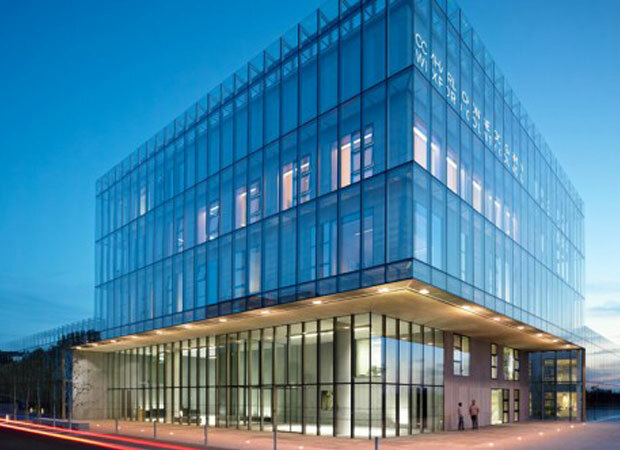 Minister Howlin said he was ' truly delighted to have been asked to open this fantastic new building', noting that it brings the many services of Wexford County Council under the one roof for the first time. 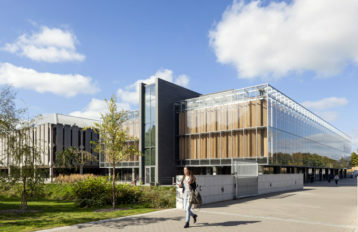 He said the new building is 'a great addition to the landscape of the county and the country'.